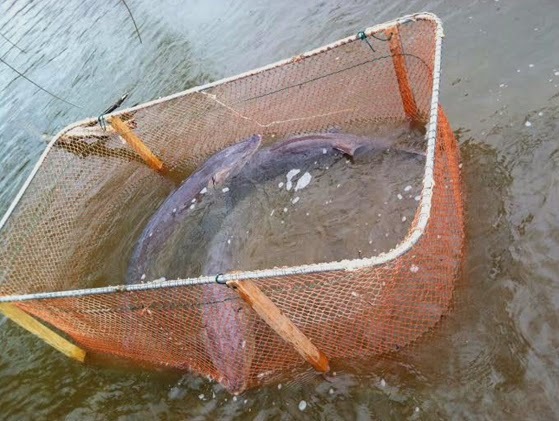 You can always visit our web site at www.kazoosturgeon.org for details, more information about our habitat restoration program, and to learn more about our prehistoric pal, the Lake Sturgeon! A NEW WEEK AND SOME NEW FISH! 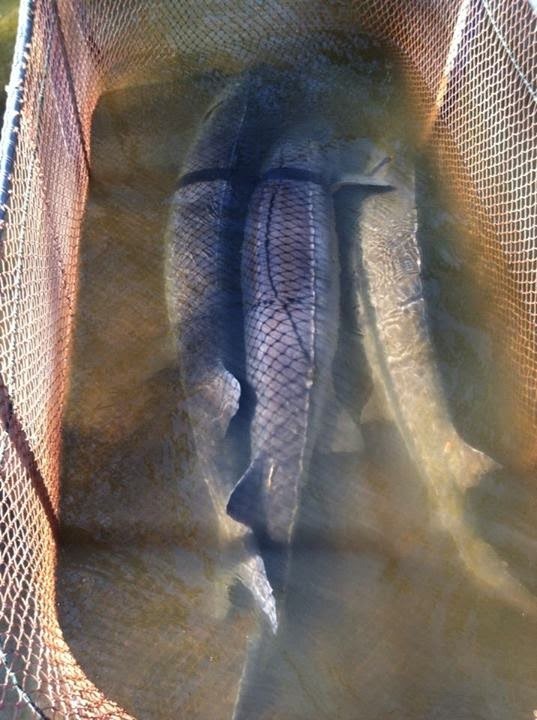 Today's efforts so far, have yielded 3 sturgeon, though only one of them is a female. Here's a look at them in the holding pen for you. three fish but we got four! 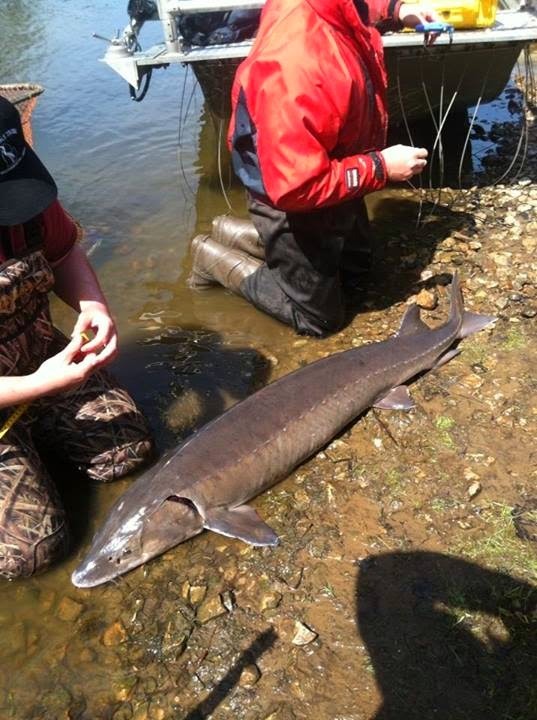 You can always visit our web site at www.kazoosturgeon.org for details, more information about our habitat restoration program and to learn more about our prehistoric pal, the Lake Sturgeon! 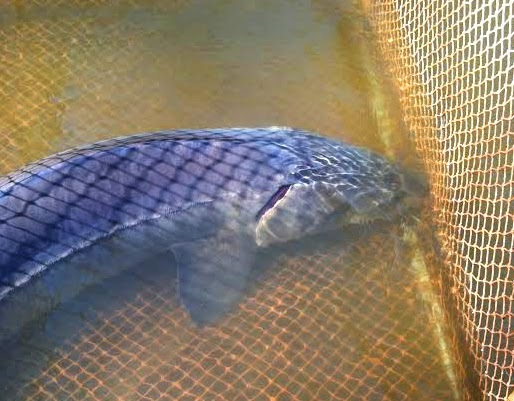 We've created this blog to keep everyone up to date on the news for the Kalamazoo River "Sturgeon For Tomorrow" project. We invite you all to visit regularly or subscribe to this blog to make sure you receive the news. 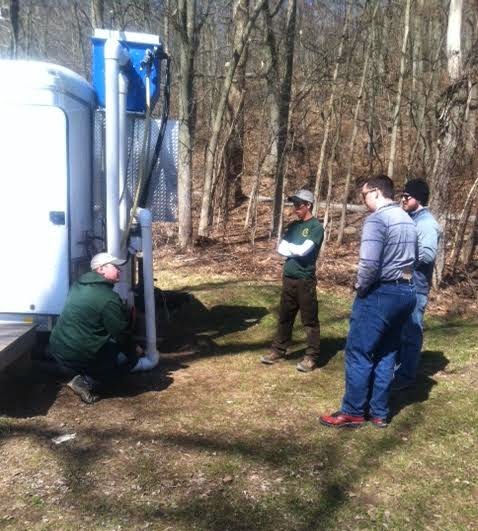 Please share this link with your friends too; we'd like everyone to be well informed! Thanks for visiting - we'll have some interesting updates about this season's efforts coming to you soon!